Joseph H. Miller died Wednesday, July 20, in New Canaan. He was 73. Mr. Miller was the president of The Sovereign Military Hospitaller Order of St. John of Jerusalem of Rhodes and of Malta. He was the founder of the New Canaan Group, a financial planning and investment firm. He graduated from Siena College in Loudonville, N.Y. Devoted to charitable work and to supporting his Roman Catholic faith, Mr. Miller served on the boards of the Malta Foundation; Holy Family Hospital in Bethlehem in the Holy Land; Malta House of Good Counsel, where he was also a founder; Malta Prison Ministry; The Inner-City Foundation for Charity and Education; Catholic Charities of Fairfield County and All Saints Catholic School. Over the years he raised millions of dollars for these and other charities. Mr. Miller participated in 19 pilgrimages to the shrine of Lourdes, France, accompanying the sick and infirm on the annual journey sponsored by the Order of Malta. He served as president of five of those pilgrimages, running on-the-ground operations for the 400-person trip, and in 2008, he and Barbara were chairpersons of the "Lourdes 150th Anniversary Pilgrimage." When he assumed the presidency of the American Association, Mr. Miller pledged "to manage our physical and financial resources, to support, reinforce and reinvigorate our membership in the execution of our charism to serve the sick and the poor, and to defend the faith." 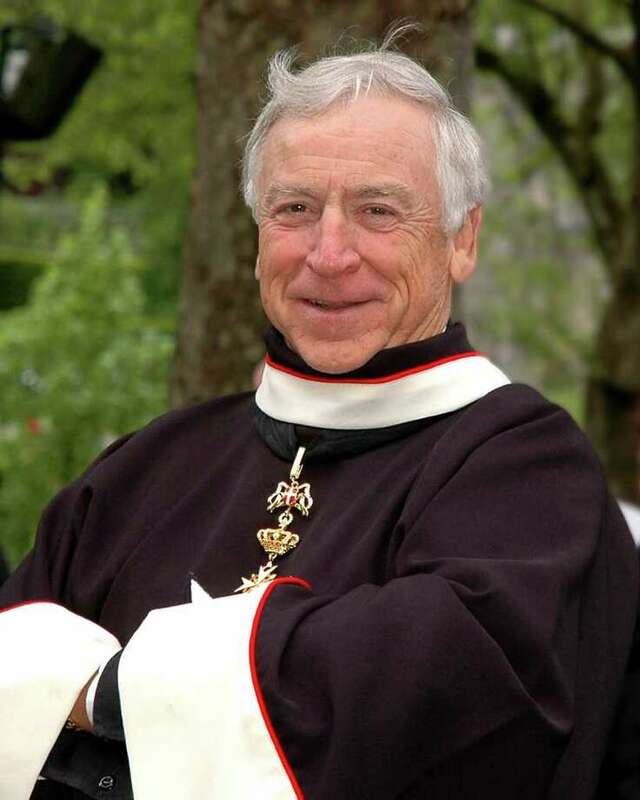 He was a Eucharistic Minister at Saint Aloysius Church in New Canaan and Norwalk Hospital. Mr. Miller's professional life was spent principally with AXA/Equitable, progressing from agency manager to corporate vice president. He founded the New Canaan Group in 1991 and was a nationally distinguished leader in the insurance and financial services industries. With AXA/Equitable, he was recognized as a life member of the Million Dollar Round Table and a member of Equitable's Hall of Fame. Throughout, he was a trusted advisor to his clients and a model of integrity. Mr. Miller is survived by his wife of 48 years, Barbara, his five children: Joseph H. Miller III (Judith) of New Canaan; Megan Creedon of McKinney, Texas; Christopher P. Miller (Victoria) of Suwanee, Ga; Beth MacInnes (Benjamin) of Rowayton; Allison Lesson (Mark) of Rowayton; and 19 grandchildren. A Mass of Christian Burial will be celebrated at 11 a.m. on Thursday, July 28, at Saint Aloysius Church, New Canaan. Calling hours are 3 to 8 p.m. Wednesday, July 27, at Hoyt Funeral Home, 199 Main St., New Canaan. Mr. Miller's life will be celebrated at a memorial mass at St. Patrick's Cathedral in New York City at a date to be determined.